Ultrabooks are sleek, super-thin laptops that often feature a silver, wedge or tapering design--yes, just like the Apple MacBook Air. However, despite Ultrabooks’ design similarities with Apple’s popular ultraportable, Ultrabooks really are a unique new breed of Windows laptops. They offer a distinct combination of performance, good looks, and features--some not available on the MacBook Air. Let's take a look. With the MacBook Air, Apple definitely popularized the metallic, razor-thin design we now see in Ultrabooks, but the Air’s signature silver body, black chiclet keyboard, and tapering wedge shape isn’t exclusive to Apple. As HP design exec Stacy Wolff told Engadget, sometimes silver is the right choice, and Apple doesn’t “own silver.” Speaking about the design similarities between the new HP Envy Spectre XT Ultrabook and the MacBook Air, Wolff proclaimed that the similarities have nothing to do with mimicking Apple--they’re just the way that technology has developed. The history of laptops shrinking in size suggests this is true. 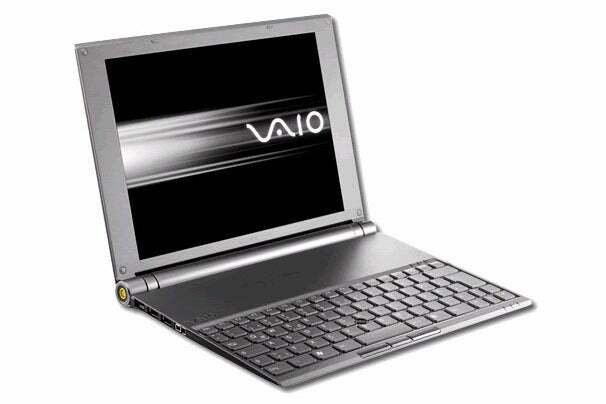 In fact, in 2003--five years before Apple introduced the MacBook Air--Sony introduced another premium, super-thin laptop: The Vaio X505 (also known as the Vaio PCG-X505, or the "505 Extreme"). This 1.8-pound laptop tapered down to 0.4 inches at the front (thinner than the Air) and had the sleek metallic body found on Ultrabooks today. Look a little closer at some Ultrabooks that may look like MacBook Air clones, and you’ll find that laptop makers have added their own touches or improvements to the design. 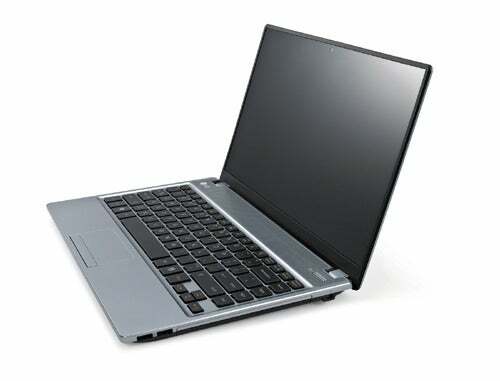 The Envy Spectre XT, for example, has a magnesium body with a brushed design and a rubber coating on the bottom of the laptop; Apple uses aluminum with no pattern or bottom coating. The LG P430 has a brushed aluminum shell and black chiclet keyboard, but LG uses a thin bezel to cram a 14-inch (on the diagonal) display into the P430’s 13.3-inch footprint. The Asus Zenbook UX21 and UX31 also have an identical shape as the MacBook Air, but these Ultrabooks feature subtle, yet eye-catching design differences: A circular spun-metal pattern on the charcoal gray lid and a slightly contrasting linear brushed pattern on the laptops’ silver deck and bottom. Metal keys, a glass-coated touchpad, and sharper corners are other distinctions on the UX21 and UX31. Good looks aren’t everything, however. Even though some laptops do look exactly like the MacBook Air, often there are significant differences inside. Besides running Windows, using Intel processors, and meeting the thinness requirement, laptop makers are free to adapt Intel’s specifications for Ultrabooks as they see fit. Some Ultrabooks push the dimensions of Ultrabooks with larger displays: Examples are the 15.6-inch Acer Timeline M3 and the 14-inch Samsung Series 5 Ultra. (The latter even packs an optical drive.) And Ultrabooks, like the Asus Zenbooks, are coming soon with full HD 1080p resolution on matte In-Plane Switching (IPS) displays, for wider viewing angles and richer color. Ultrabooks tend to offer more ports that are standard than the MacBook Air does. Both the Toshiba Portege Z835 and the HP Folio 13, for example, come with gigabit ethernet, HDMI, and USB 3.0. The Portege Z835 also adds VGA. You’d need to buy adapters if you want ethernet, VGA, or HDMI capability on the MacBook Air. Options in some Ultrabooks for hybrid HDD and SSD drives (rather than just solid-state drives) help drive down the prices of these laptops. The hybrid drives also increase storage capacity in exchange for a bit of a performance hit. Want more powerful graphics processing than the integrated graphics that come in most Ultrabooks? The Acer Timeline M3 and the Gigabyte U2442 series both offer, as options, discrete Nvidia graphics cards. Finally, some Ultrabooks that should be coming by the end of this year are expected to feature touchscreens and voice recognition. In short, rather than just aping Apple, many Ultrabook makers are taking that wafer-thin design idea and veering off in their own directions. Such diversifying may muddy the Ultrabook brand, but this competition and PC makers’ quest to make Ultrabooks of their very own also means that we’ve got many more choices--and perhaps a better chance of finding the good-looking, super-thin laptop that meets our needs precisely.